Tennessee whiskey is among the most popular whiskies in the world. The style is very specific and only a couple distilleries in the state of Tennessee produce it. Dominating this tight market is the popular brand Jack Daniel's, which produces some of the best bottles of Tennessee-style whiskey available. Yet, from this single brand comes a number of impressive bottles of whiskey that you'll want to pick up and taste for yourself. Jack Daniel's does not include age statements on this bottle. Instead, the distillery says that the whiskey "is ready only when our tasters say it is." It is bottled at 40 percent ABV (80 proof) and offers big vanilla and licorice flavors to create a taste that is instantly recognizable. If Black Label is the iconic Tennessee whiskey, then Gentleman Jack is its more sophisticated and refined big brother. Initially released in 1988, Gentleman Jack was the first new bottling produced by the brand in decades. The whiskey used to produce Gentleman Jack is sourced from barrels resting on the lower levels of the aging house. Its most distinguishing characteristic is that, instead of being charcoal-mellowed once, Gentleman Jack is slowly dripped through the sugar maple charcoal twice. This results in an eminently sippable and sophisticated whiskey that is bottled at a smooth 40 percent ABV (80 proof). Crafted with a 70 percent rye grain bill, Jack Daniel's Rye is technically not a Tennessee whiskey because it doesn't meet the 51 percent corn required by law. That is why it's labeled "Tennessee Straight Rye Whiskey." 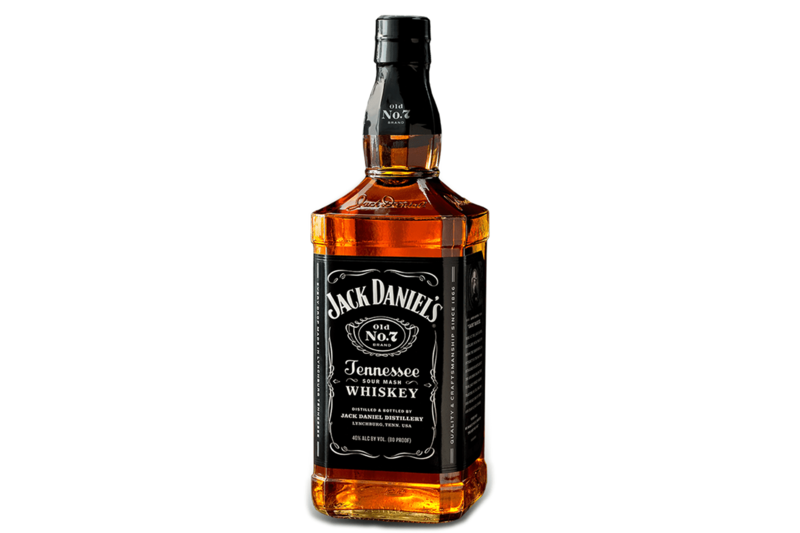 However, it is a fantastic whiskey that is made in Tennessee and it does use Jack Daniel's charcoal mellowing process. You won't find this a rye whiskey like it anywhere else. As a result of this unique process, this rye is spicy and complex, while still owning the signature Jack Daniel's taste. Slightly stronger than the original whiskey, this rye is bottled at 45 percent ABV (90 proof). It has a bold character that is unforgettable and will stand up to any rye whiskey cocktail. A bottle from Jack Daniel's Single Barrel collection is the perfect choice for whiskey connoisseurs. The first, Single Barrel Select, was first introduced in 1997. The selected barrels are aged on the upper floors of the aging house where a drastic temperature adds to the whiskey's flavor. At 47 percent ABV (94 proof), this is a bold sipping whiskey that does well with or without ice. With each sip, you'll enjoy a robust array of bright fruits, sweet caramel, and a snappy spice. Single Barrel is a delicious surprise for regular Black Label drinkers. It's also a great way to introduce bourbon drinkers to the joys of Tennessee whiskey. Jack Daniel's does not disappoint rye drinkers when it comes to their Single Barrel Collection. If you enjoy the brand's regular rye whiskey, you'll definitely want to treat yourself to a bottle of Single Barrel Rye. It features the same 70 percent grain bill, but with an extra level of smoothness that anyone can appreciate. This big and bold rye is 94 proof (47 percent ABV) and holds complex notes of ripe fruit and toasted oak for a delicious flavor that doesn't overpower the palate. For a taste of whiskey straight out of the barrel, you'll want to seek out Jack Daniel's Single Barrel Barrel Proof. It is simultaneously intense and smooth, taking the brand's classic malty flavor to bold new levels. Bottled anywhere from 125 to 140 proof (62.5 to 66 percent ABV), this bottle also packs quite the punch. After the first taste—just to see what it's really like—add some ice to mellow it out and really open up the flavors this whiskey holds inside. You will have to do some traveling to find a JD's Single Barrel 100 Proof because it's only sold in select duty-free airports around the world. 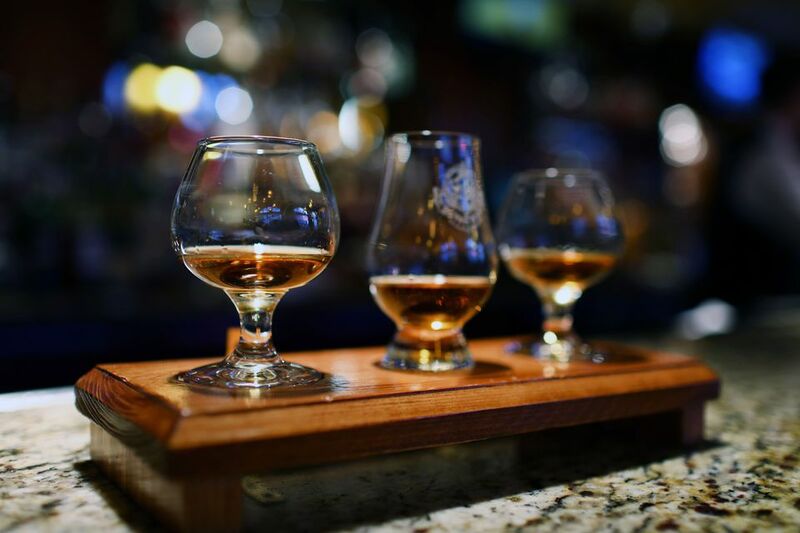 It's worth the effort, though, because it offers a full depth and flavor that will impress any whiskey fan. It's also a new experience every time as you'll notice subtle differences in each bottle. Apparently, Frank Sinatra was a big Jack Daniel's fan and the bottle labeled Sinatra Select is as smooth as he was. Aged in what the distillery calls their "Sinatra Barrels," the staves of the barrels are scored with deep grooves that allow more of the whiskey to touch the oak. That, along with the fact that it's 45 percent ABV (90 proof), adds a significant new dimension to the whiskey's trademark flavor. It's often described as "yummy" because of its butterscotch notes and you'll enjoy a tender smokiness not found in any other bottle of JD. Green Label has always been a cult classic among Jack Daniel's enthusiasts and it is particularly popular among hunters. A lighter, younger version of the original whiskey, Green Label is 80 proof (40 percent ABV) and barreled from whiskeys aged on the bottom floors of the aging house. This is an elusive bottle, only available in select states in the U.S. There are frequent rumors about it being discontinued as well, yet it remains a favorite among whiskey collectors. Be aware that some online stores will mark up this bottle drastically and it is not uncommon to find it available for almost $100. While it is hard to find, that price is very hard to justify for this whiskey. If you're willing to pay that, do yourself a favor and pick up a Single Barrel or the Sinatra Select instead. Jack Daniel's produces a few flavored whiskies—technically liqueurs—that are rather impressive as well. Tennessee Fire is a great cinnamon option and Winter Jack uses apple cider liqueur for a tasty cold weather treat. However, Tennessee Honey is a favorite among drinkers and bartenders alike. The smooth taste of honey liqueur blended with the distillery's signature whiskey results in an amazing drink. It's a fantastic mixer, offering the sweet taste of real honey that can enrich any cocktail, and it's pretty delicious on its own. Bottled at 35 percent ABV (70 proof) and available at an affordable price, it's a nice addition to any bar.